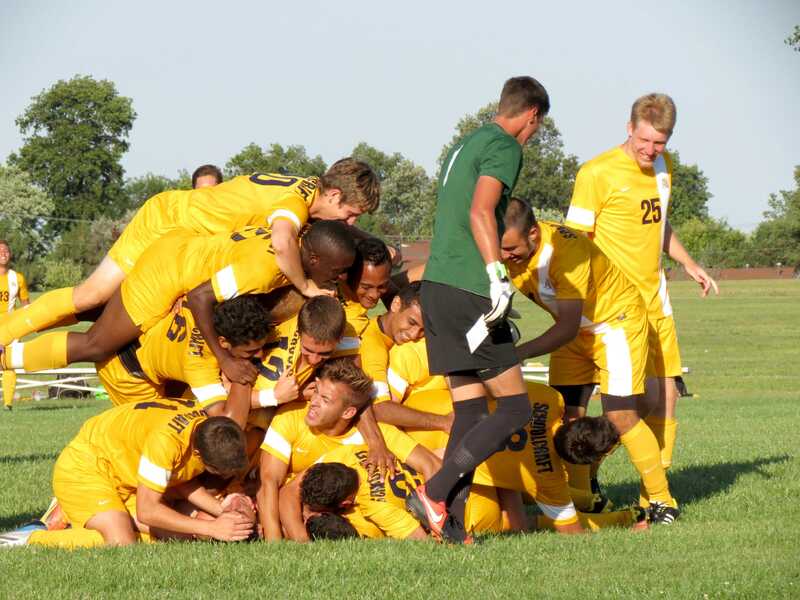 The Schoolcraft men’s soccer team defeated Owens College 2-1 in double-overtime at last Wednesday’s game. Sophomore forward Romario Georgis scored the game-winning goal for Schoolcraft with 1:25 left in the second overtime on a penalty kick after teammate Jarred Phillips was taken down in the box. Georgis sent a low shot in to the bottom right corner of the net to seal the victory. The game was a scoreless affair until emotions kicked in with 22:50 remaining in the second half. Georgis opened the scoring as he took goalie Sean Simney’s punt down the field. Georgis beat four Owens’ defenders and then fired a shot beating Owens’ goalie Joshua Kleinow in the bottom right corner. Owens’ Bjion Campbell fired a missile, from 35 yards away, down the right sidelines with 16:48 remaining in the second half and beat Simney in the upper left corner to tie the game at one. The first overtime was uneventful, as both teams fought for possession in the midfield and neither team took advantage. This forced a second overtime in which tempers flared, with bodies hitting the ground at a premium rate. Georgis was thrilled to defeat Owens for the first time of his career, following a tie and loss last season. “We’ve never beat them and they are an awesome team. They never stopped battling out there,” Georgis said. Schoolcraft head coach Rick Larson was happy to get the win but said there were some things to improve upon. Larson would like to see his team hold leads better late in games, but was pleased with the victory. The next home game for the Men’s Soccer team will be this Friday, Sept. 13 at 1 p.m. versus Ancilla. For a full schedule, stats and standings go to www.mccaa.org.